During the summer 2009, NIBE Element Wind Solutions was founded. NIBE Element Wind Solutions is a division of the Swedish NIBE Group, and coordinates sales to the wind sector globally for the six companies SAN Electro Heat A/S, Jevi A/S , Danotherm A/S, Lund & Sørensen A/S, Backer AB and Loval Oy. The company was established to offer our customers the best possible service by uniting the coordination of the sales of all six companies in one office. Our main office is situated in Vejle, Denmark. However, due to our representation - sales as well as production - all over the World, we are able to service our customers anywhere. SAN ELECTRO HEAT A/S , founded in 1950. Started as an agency company selling products for technical heating and has during the last half century grown into the probably most dynamic and flexible company in Europe within design, product development and manufacturing of professional electric heating equipment. In 2001 SAN ELECTRO HEAT A/S was acquired by NIBE Industrier AB. In 2008 SAN ELECTRO HEAT A/S acquired the Danish Lübcke Rail company in Roedovre, which has for many years been one of SAN’s very close partners within sales to the Railway Sector. This company carried on under the name SAN Railway Systems. Today SAN ELECTRO HEAT A/S delivers heating products all over the World, and through our membership of the NIBE Industrier AB group, we are also able to manufacture as well as service our customers world wide. Our focus is on Wind Power, Railway Sector, Process Industry and Comfort Heating. JEVI A/S , founded in 1942. The first primary product was heating elements for the repair of smoothing irons. However, during the following years JEVI grew into a company that produced and delivered heating elements to a wide range of the Danish manufacturing industry. In 1998 JEVI was acquired by NIBE Industrier AB. In 2003 JEVI acquired the Dutch company Sinus Bobé, which carried on under the name SINUS-JEVI Electric Heating b.v. In the same year JEVI was certified for the ISO9001:2000 and the ATEX standard, which enabled the company to produce products that required special explosion security. During the subsequent years JEVI has continued to invest in modern production facilities, product development and skilled, motivated employees to develop into one of Europe's leading suppliers of electric heating solutions. Today we ship our products worldwide. DANOTHERM ELECTRIC A/S, founded in 1919. Known worldwide for it’s qualified design and quality production of power resistors for the electronic-, the windpower-, and telecommunication industry. With distributors all over the world, Danotherm Electric A/S is ready to support you and fulfil your demands for power resistors where ever you are. DANOTHERM ELECTRIC A/S is a member of the Swedish NIBE Industrier AB Group providing the access to all necessary production-, know-how- and sourcing facilities. Therefore DANOTHERM ELECTRIC A/S is able to solve all problems related to power resistors and helping our customers the optimum way. The product range covers a wide field, from flat-, round-, and wire wound resistors over aluminium housed compact brake resistors and Steel Grid Brake Resistors to huge modules constructed of water cooled break resistors. 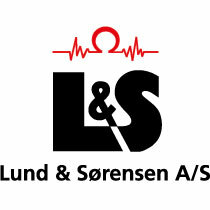 LUND & SORENSEN A/S was founded in 1989. The company is specialized in almost all kinds of heaters, with one of the largest programme within the business. We supply to both common industry and wind turbine industry. Most of our solutions are custom design, which allow us to supply the customers with exactly the solution they need for their specific application. Since the very beginning, we have supplied solution for wind turbine manufactures as well as sub suppliers. It gives us an experience in “cold climate applications” which make Lund & Sorensen A/S a worldwide leading company for this kind of applications. Watch the video introducing our cold climate programme. The Backer Group has developed, produced and delivered components and systems for electrical heating solutions for more than 60 years. It all started in Sösdala, in the south of Sweden. Still today, the site is headquarter for the Backer Group with nearly 40 production plants and 4 000 employees on 4 continents. The products of Backer have their origin in the technical principal for which Christian Backer got his patent already in 1921. The so called “Backer element” is the original and still today the Backer Group is a leading actor. Today Backer is your technical industrial partner in several industry sectors. We deliver components and complete solutions within the fields of measurement heating and control to industries such as the automotive, energy, railway, wind, medicine and process industries as well as HVAC. All these products require different technical solutions for their specific applications. Backer strives to strengthen the competitiveness of their customers. The idea is to be more of a partner than simply a supplier. As a result of the international presence of the Backer Group, no matter where you are, the distance between the Backer engineers and the customer is always kept short! Loval is market leader in Finland. Two thirds of the production is going for export. Loval manufactures tubular heating elements, flow through boilers, steam generators and cabin heating elements with brazed on finning for rolling stocks. Production in Finland.